We gratefully acknowledge the contributions from our partners. Australian Catholic Bishops' Conference is the assembly of the bishops of Australia, exercising together pastoral offices for Christ’s faithful in Australia. It promotes that greater good which the Church offers to humankind. The Broken Bay Institute has been established due to the expressed need of people from the Diocese of Broken Bay for quality Catholic adult faith formation and education. Caritas Australia is the Catholic agency for overseas aid and development working towards the creation of a world that God desires to be just and compassionate. This work will be undertaken principally through the life-giving activities of aid and development. Catholic Earthcare Australia is an ecological agency established by the Australian Catholic Bishops' Conference to help promote understanding among people that creation is sacred and endangered, and that the natural world needs protection and preservation for present and future generations yet unborn. 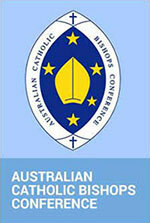 The Catholic Enquiry Centre is the national faith promotion outreach of the Australian Catholic Bishops Conference. The Catholic Institute of Sydney (CIS) seeks to be a community of faith and learning, a community whose members work together through scholarship and service to bring the Gospel into dialogue with Australian Culture. Catholicireland.net is a registered charity set up to promote and support the work of the Catholic Church in Ireland and abroad on the World Wide Web. Catholic Mission is the international mission aid agency of the Catholic Church in Australia. Compelled by the message, life and love of Jesus Christ, Catholic Mission forms Australians for mission and raises funds for mission - in Australia and around the world. 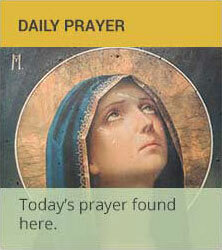 Catholic Outlook is the official publication of the Diocese of Parramatta. Catholic Outlook aims to inform the Catholic community about diocesan events and matters of Church teaching. The Catholic Weekly, is the official organ of the Archdiocese, to provide a single editorial voice for the Church in Sydney. The Weekly seeks to take on a broader reach beyond the white Anglo-Celtic Catholic to the wider, truly universal, contemporary Church in Sydney. CSSA is the Church's peak national body for social services in Australia. Its 60 member organisations provide social services to over a million Australians each year, delivering services to local communities in metropolitan, rural, regional and remote Australia. The Christian Research Association was formed in 1985 to serve the churches of Australia. Its task is to provide up-to-date and reliable information about religious faith and church life in Australia. The CACW wishes to reflect the dynamic nature of the community of women praying, living and working in the Catholic Church in Australia. The Diocese of Broken Bay serves the people of God and outreaches to communities from northern metropolitan Sydney to the Central Coast of New South Wales. The Discalced Carmelites are men and women dedicated to contemplative prayer and ministry within the Catholic Church, with communities across the world. Eureka Street has been a monthly, and briefly bi-monthly, print magazine for the past 15 years, commencing in March 1991. It has always styled itself a publication on public affairs, the arts and theology. The Franciscan Friars are a group of men committed to living together a simple life of the Gospel in the footsteps of St Francis. The rule and life of the Friars is: "to observe the Holy Gospel of Our Lord, Jesus Christ." Jesuit Communications offers magazines on prayer, spirituality, Catholic life, theology, current affairs and the arts connecting Ignatian philosophy and spirituality to everyday life. They publish for all age groups and for a wide variety of life experiences. The Kairos Catholic Journal is a Melbourne based publication, distributed fortnightly. The journal has been the recipient of numerous Australian Catholic Press Association, and Australasian Religious Press Association Inc. awards. The Liturgical Commission of the Archdiocese of Brisbane aims to encourage the full, conscious and active participation of all people in liturgical rites that are noble in their simplicity yet powerful in their expression of the sacred mysteries. Our Majellan magazine offers readers topical articles about family life from a Christian perspective. This little magazine will nourish your faith and give your spirits a lift! The Sisters of St Joseph of the Sacred Heart, often called the Josephites ('Brown Joeys'), were founded in 1866 by Mary MacKillop and Reverend Julian E Tenison Woods. Wherever we are, whoever we are, whatever we do, we are called to relieve suffering and bring hope. We gratefully acknowledge the financial support of our sponsor.